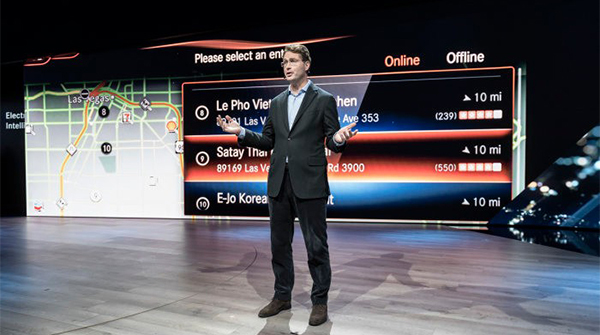 The future mobility would be defined more by the experience within the car than the façade, which is why household luxury German brand Mercedes-Benz invests heavily to deliver differentiated inner electronics, said Ola Källenius, the new chief executive of the German carmaker. “Many of the things (including beautiful design, the performance and safety) that have made us into the leading premium luxury brand since we invented cars 33 years ago are still important. (…) But there are four overriding trends that are transforming all our experience at the moment,” Källenius said at his first interview with Korean media including Maeil Business News on Wednesday (local time) on the sidelines of the CES 2019 in Las Vegas. The key words “connectivity, autonomous, shared and electric” are already transforming the automotive scene and will bring about landscape changes for the next five to 10 years. 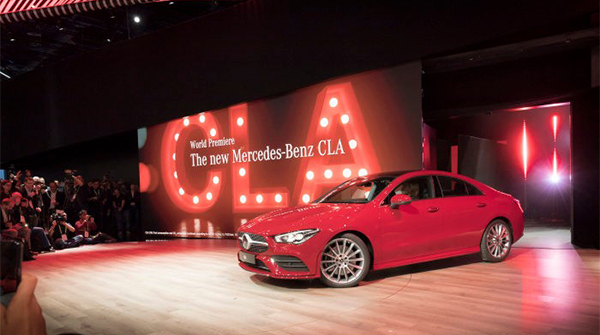 Mercedes-Benz traveled to this year’s CES tradeshow to introduce its second-generation CLA compact car, a rare move for the automaker to use the annual event for a vehicle world premier. It aims to “go one step further in launching a car,” he said, as the world press joins the show and so do many of its tech partners. The CES is a fitting venue for a car featuring considerably more advanced technologies than its predecessor, he added. The CLA is the design-led member of Mercedes-Benz’s growing family of compact cars. The newest model unveiled features the Mercedes-Benz User eXperience (MBUX) infotainment system displayed on a high-resolution, 10.25-inch touchscreen. This artificial intelligence-powered software launched last year’s CES adapts itself to individual users by learning their habits, and drivers can link the system with wearables like smartwatches to monitor how they are feeling to provide massages, heat or cool the seats and even adjust the lighting. With regard to the Korean market, Källenius also said the company would keep up efforts to bring innovations “to be competitive in Korea,” adding the country remains “one of our focus markets, one of our most important markets in the world,” where it has tech partners and a very good customer base. Ola Källenius is the new CEO of Mercedes-Benz, who will lead the German auto giant from this year for the first time as a non-German head. After joining Daimler AG in 1993, Källenius has been head of sales and marketing for Mercedes-Benz Cars at Mercedes-AMG GmbH since 2013 and served as a member of management board at Daimler AG since 2015.